Pretty much obsessed with the Sherry Biker Jacket. This faux suede lilac coloured jacket has spring written all over it. Zip front, biker jacket detailing. The La Roux Belted Robe is a must have piece in our closet this winter. Throw it over any outfit for an instantly luxe feel or wear as a dress for a sultry vibe. Ties at waist. Model is wearing size small. 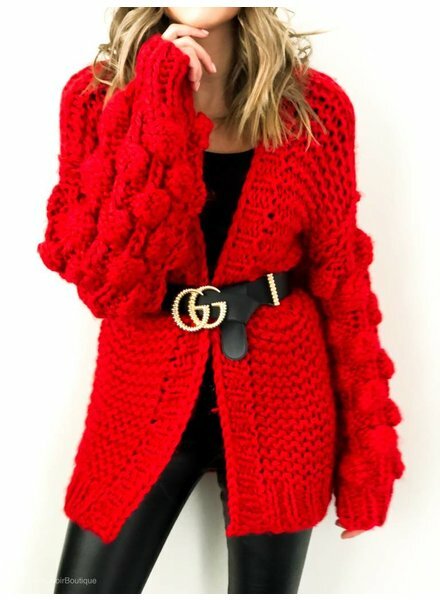 Warm, cozy, and fashionable! 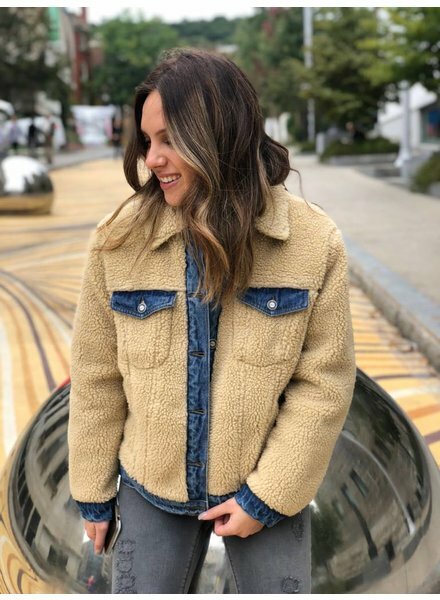 This denim lined and trimmed teddy jacket is a must-have for fall. Features front buttons and 4 pockets. Shell: 100% Polyester Lining: 100% Cotton Model is wearing size S.